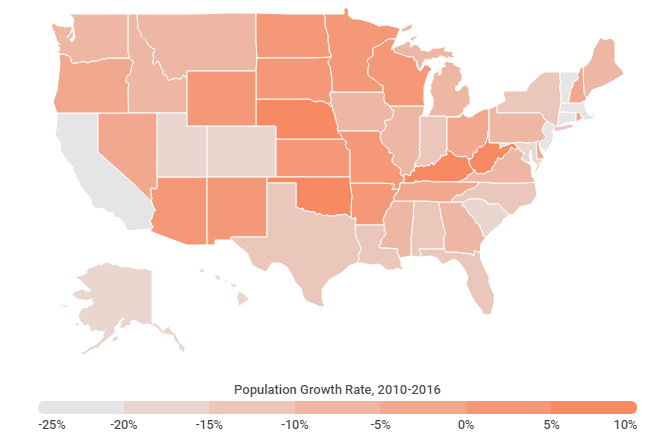 Posted on February 5, 2019 by Staff & filed under Nevada by the Numbers Blog. 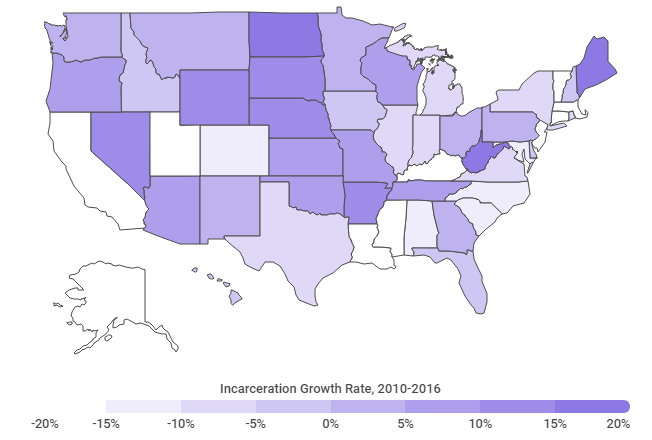 A recent report for the Nevada Advisory Commission on the Administration of Justice (“the Commission”) prepared by the Crime and Justice Institute (“the Institute”) has been in the news lately, with eye-popping numbers: Nevada’s prison population is already one of the fastest-growing in the nation, and is outpacing state population growth in contrast to other states. 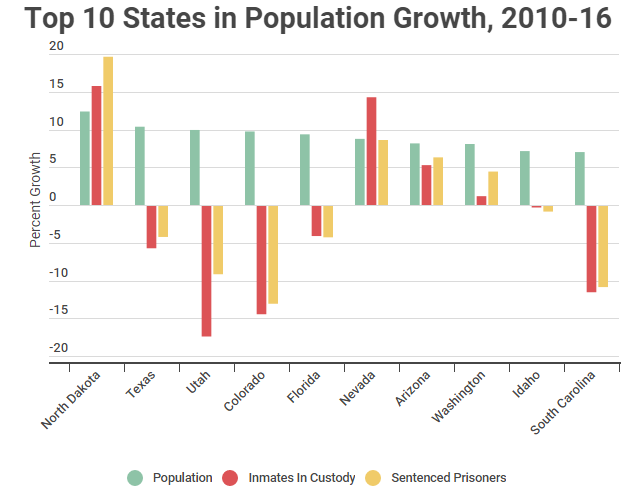 While Florida and Nevada both saw a 9% growth in population from 2010-2016, Nevada’s prison population grew by 14% while Florida’s fell by 4%. For context, according to the BJS, “inmates in custody” includes prisoners in jails, while “sentenced prisoners” specifically looks at those with a sentence of a year or more. 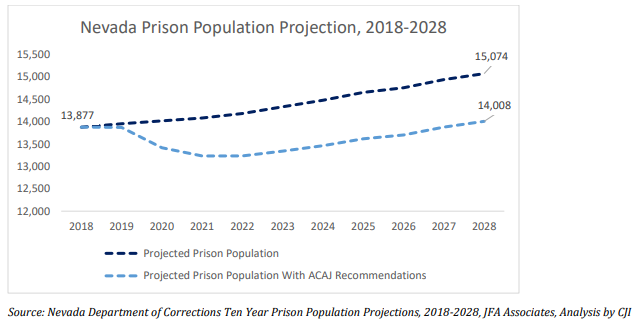 If Nevada’s relative outlier status when it comes to incarceration weren’t enough, the Institute’s report projects Nevada’s prison population will grow by a further 9% in the next 10 years, and that growth comes with a projected price tag of $770 million. The Commission made several recommendations aimed at curbing this growth, and saving the state $640 million of those increased costs. The Department of Corrections already takes up a chunk of Nevada’s budget, with over $688 million during the 2017-2019 biennium, or 2.6% of the state’s budget. These recommendations have already met resistance from law enforcement and various District Attorney’s offices, but the Commission voted to send them to the Legislature for consideration regardless.